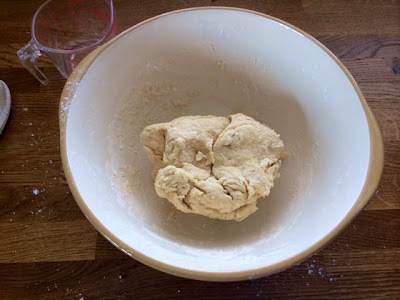 I’ve been wanting to make some more bread again for a while now and I’ve finally gotten round to it. 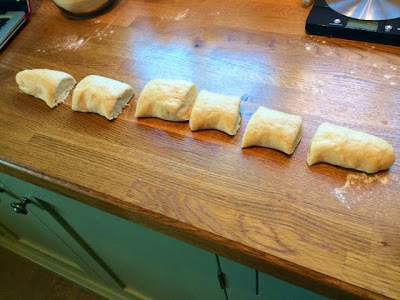 As I’ve already done a basic white loaf on the blog I had a little look around for recipe ideas and inspiration when I stumbled across these delicious looking pull apart rolls from Tickling Palates. 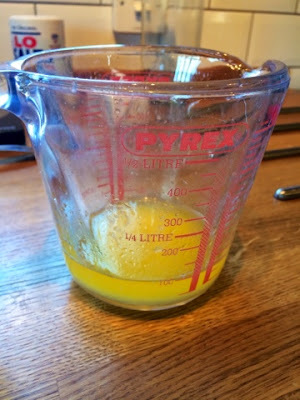 Using this as inspiration I’ve adapted the recipe to suit my own bread making techniques that work for me as well as the ingredients to suit my tastes and have come up with my own version. 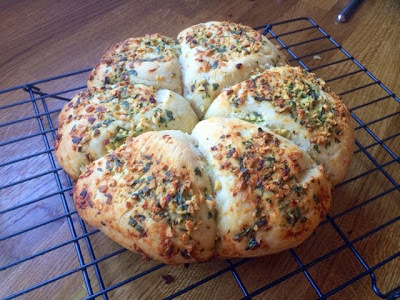 I really like this idea of baking garlic bread as opposed to using garlic butter to turn plain bread into garlic bread, it means you get a much more even distribution of garlic throughout the dough. I’ll warn you now, you will end up absolutely stinking of garlic, it’s a strong one! But I do love the stuff! These would be perfect served up with Spaghetti Bolognese or alongside any big hearty meal. I’m having a barbecue today and serving these up instead of a usual bread basket. 1. In a mixing bowl mix together the flour, salt, yeast and sugar. 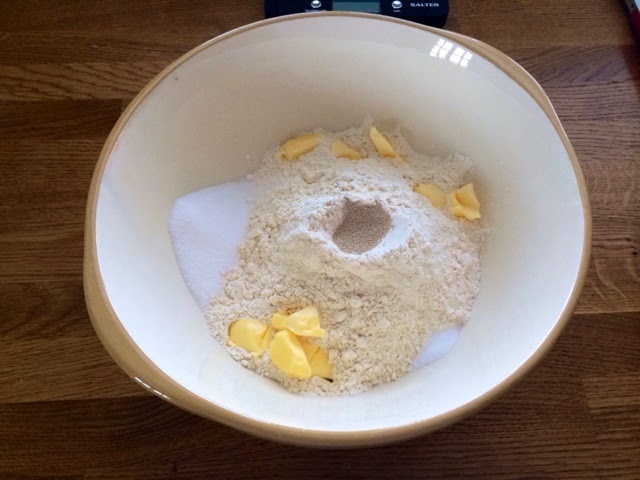 Add the butter and rub in until the mixture resembles breadcrumbs. 2. Make a well in the centre and pour in the water. 3. 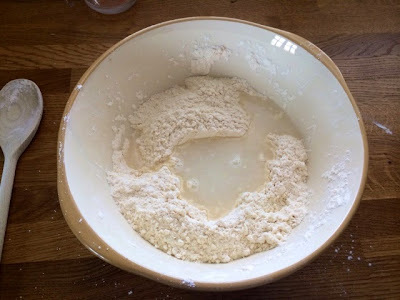 Get your hands stuck in, pulling the flour from around the edges into the water and combine all of the ingredients together until a rough dough is formed. 4. 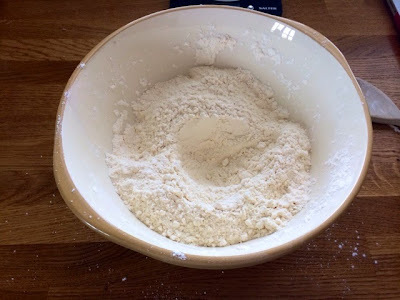 Tip out onto a flour surface and give it a good knead for about 15 minutes. 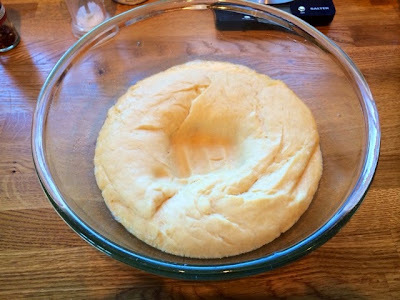 Then place in an oiled bowl, cover in cling film and leave in a warm dry place to prove until doubled in size. It really depends on the weather/temperature in your house as to how long this takes. 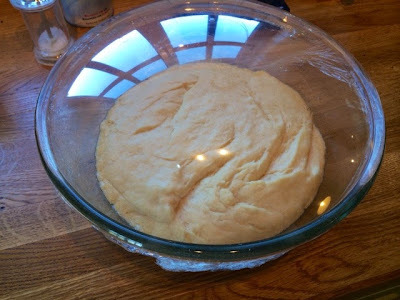 An hour is usually enough, this time though my dough was being stubborn and refused to rise so I ended up leaving it overnight. I find the airing cupboard is usually a good place for proving. 5. 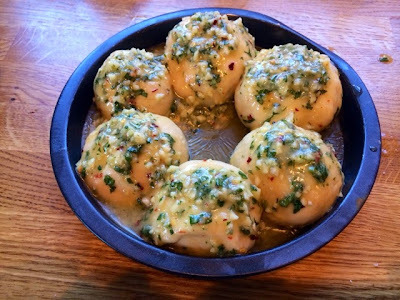 When the dough is ready, make your garlic butter. 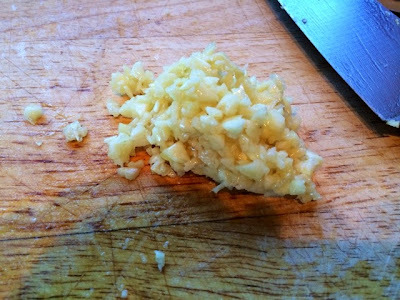 Crush the garlic up into a coarse paste (I usually use a little olive oil and salt to help it along) and melt together the butter and oil. 6. 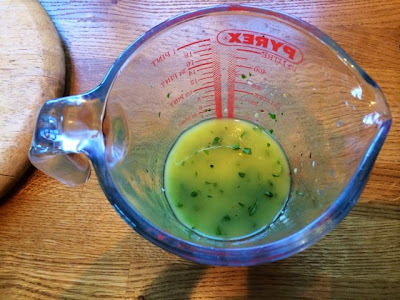 Add the garlic, basil, chilli and salt to the butter and mix thoroughly. 7. 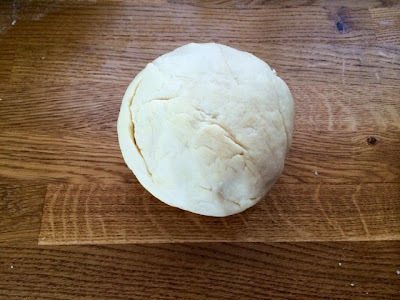 Punch the air out of your risen dough. 8. 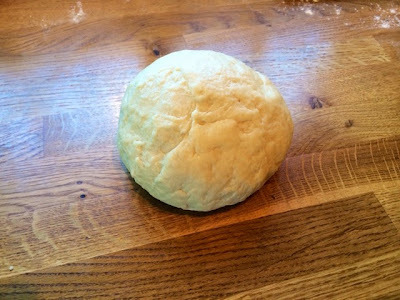 Tip out onto a floured surface and knead again for around five minutes. 9. 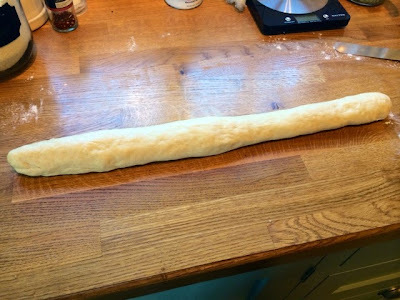 Roll out into a sausage shape to make it easier to section up. Use a plastic bread scraper or side of a palette knife to cut into even sections. How many you cut depends on how many rolls you want to get out of it and the size of them. I’f made six medium to large ones. 10. 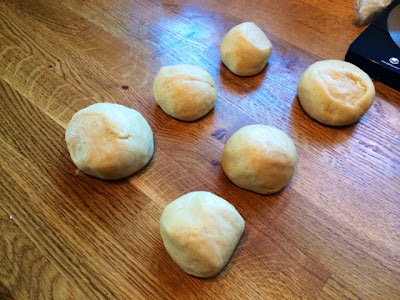 Roll your sections into round balls. 11. Grease a tin that will fit them in quite snuggly. I’ve used a cake tin as it was the only thing I could find about the right size. 12. 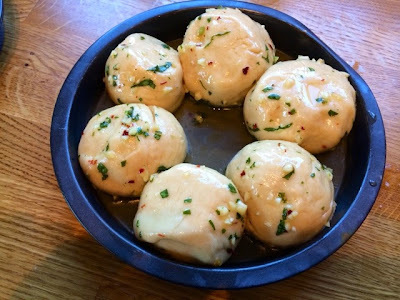 Roll each dough ball in the garlic butter mixture and add to the tin. 13. 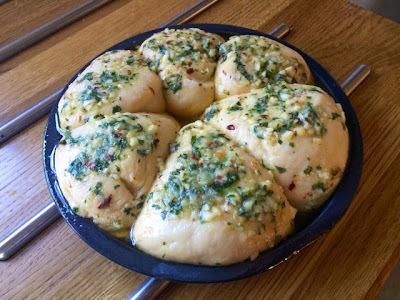 Grate a generous helping of cheese into the remaining garlic butter mixture then evenly pour on top of the rolls. 14. Cover and leave in a warm dry place for about an hour until doubled in size again. As it was a nice sunny day, I put mine on a bench in the garden and it did the trick perfectly. Preheat the oven to 190°C. 15. 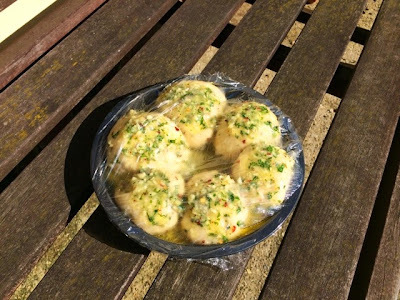 Remove the cling film and bake in the oven for 30 mins until cooked through and golden brown. 16. 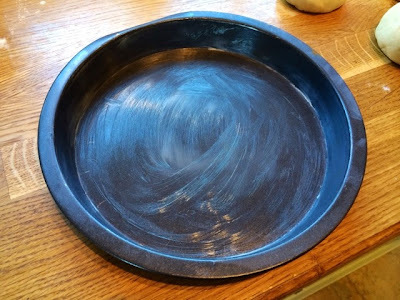 Remove from the oven and remove from the pan (if you greased your tin properly it should slip out easily) and leave to cool on a wire rack.